Federal and State Contractors are required by law to engage. 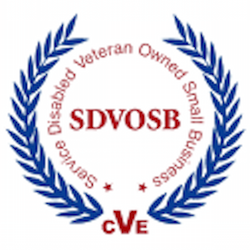 Service Disabled Veteran Enterprise (SDVE) and Minority Business Enterprise (MBE) to meet “set-aside” supplier and vendor requirements. Which means a portion of any contract must be “set aside” for small or disadvantaged businesses. There is an established annual contracting goal as a percentage of the contracts to be issued by US Government agencies; most agencies have not met these goals. Companies doing business with State, County/District and Federal Government entities need to meet diversity requirements in order to be permitted to bid on various government contracting business opportunities. 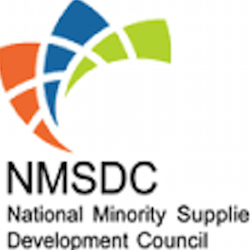 Major corporations have implemented supplier diversity programs. These Corporations are looking for cost-effective solutions to qualify and comply with federal diversity requirements. All Brilliant Minds Solutions’ Client benefits from supporting our returning veterans and meeting diversity supplier requirements and targets. What is a Minority Business Enterprise? MBEs are defined as businesses in which African-Americans, Alaskan Natives, American Indians, Asian Americans, Hispanics or women control at least 51% of a firm’s operations. In 1969, Richard Nixon passed Executive Order 11458, which created the Office of Minority Business Enterprise, or OMBE. Now known as the Minority Business Development Agency, the MBDA provides specialized contract opportunities, funding and professional development to minority and women-owned businesses across the United States. So what are the benefits of including MBEs in your supply chain? The most obvious benefit of doing business with an MBE is the tax breaks. Federal tax breaks are in place for companies who use MBEs to purchase supplies, parts, and materials. Plus, tax liabilities are lowered for companies who use MBEs that supply services or labor to any project that’s funded by federal or state grants and loans. State tax incentives include tax credits for contractors and subcontractors using MBEs—and you can apply for additional special tax incentives depending on the contract you hold. Before applying for MBE status, minority and women-owned companies must have been in business at least one year, so you know you’re working with an experienced firm that is committed to building a thriving enterprise. Plus, many states offer special networking and training opportunities for MBEs, which means they have the opportunity to learn special skills and engage in professional development their competitors don’t. And, because MBEs compete for exclusive government-funded projects, you get the assurance that their businesses are being regulated and the peace of mind that they’re in good standing. That means you don’t have to worry about shady business practices, payment issues or under-qualified staff in your supply chain. MBEs are typically involved in their local communities, as they often attend networking and business events (some states even require MBEs to be involved in their local business communities). That means they often have ties to other local businesses, so you’re not only supporting the MBE in your supply chain, but also your community of small business owners – who are likely to return the favor. Research shows that consumers want to purchase parts; products and services from companies that they believe hold the same core values as they do. When you partner with an MBE and diversify your supply chain, you’re telling your existing and potential customers that you care about supporting minority and women-owned firms. Brilliant Minds Solutions is a certified MBE and SDVSOB corporation, located in Inglewood, CA. To learn more about how a partnership with an MBE can improve your supply chain, get in touch with the team of experts at Brilliant Minds Solutions certified MBE and your partner in building a better business.